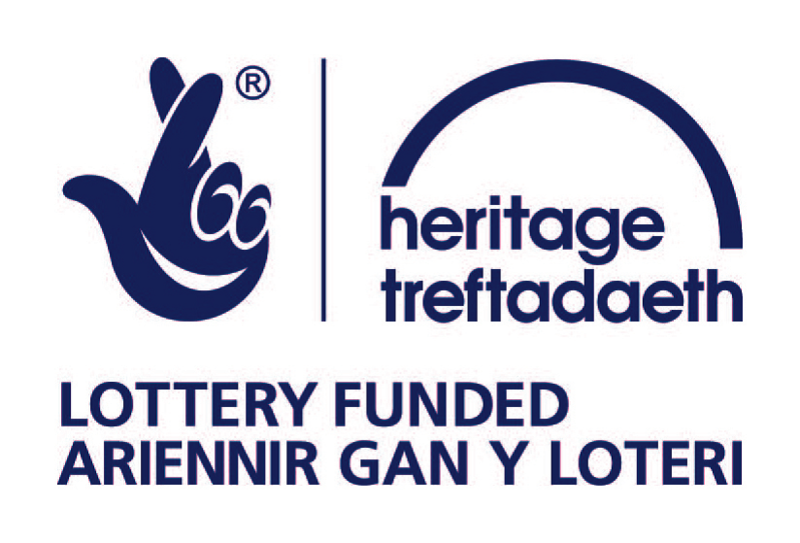 Heritage Lottery Fund has awarded £9,250 to Ruthin Community Group to commemorate the centenary of World War I. The project entitled ‘The Great War and its Effect on Ruthin and Surrounding Areas’, will bring local people of all ages together learn more about those who made the ultimate sacrifice. It will result in the publication of a history book, production of a DVD, audio files for blind war veterans, an exhibition, guest speaking programme and even a living history camp for people to experience a glimpse at what life was like in the trenches. 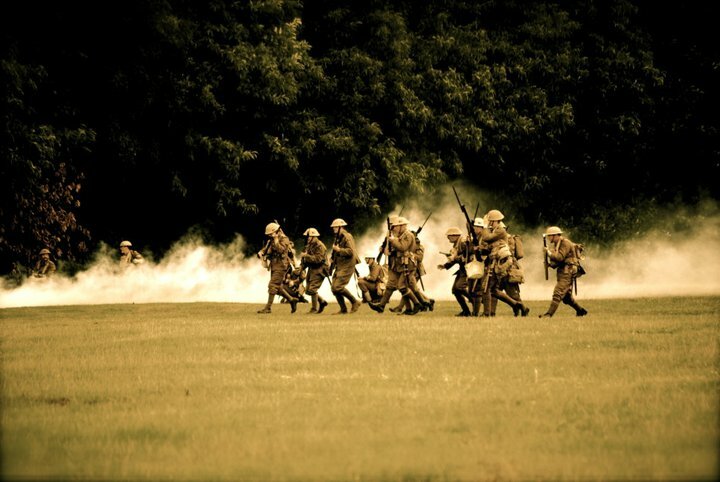 Ruthin Community Group Events Organiser Ron Bell said: “Mametz Wood was a pivotal battle in the Great War and is remembered for the horrific loss of life, bravery, chaos and self-sacrifice of so many Welsh soldiers, many of whom came from this area. 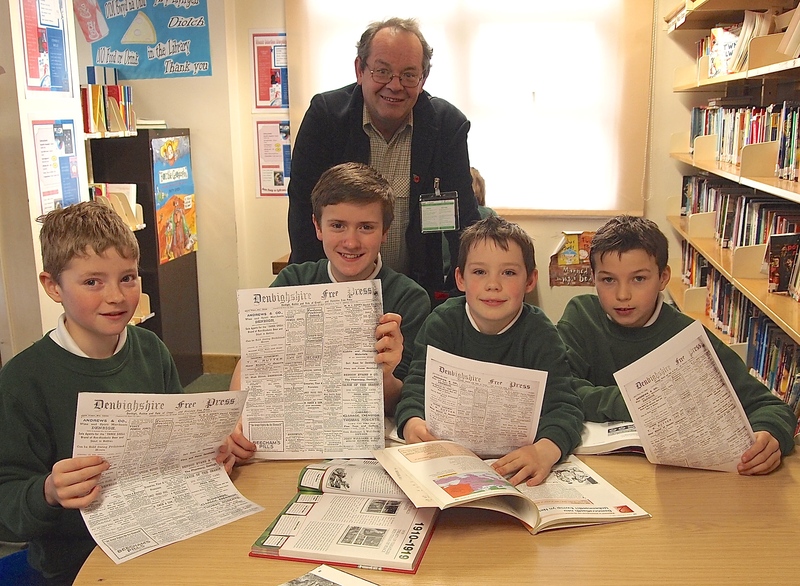 History detectives: Students from Ysgol Brynhyfryd will be working with Ruthin historian Geraint Owain to create a book about soldiers from Ruthin who fought at Mametz Wood. Left to right Harri Roberts (11), Sion Morgan-Roberts (12), Tomos Huw Jones (11) and Meilir Lloyd with Gerain Owain (standing). The rich programme of events will begin with pupils of Ysgol Brynhyfryd working with former headmaster and historian Geraint Owain to publish a book about the role those soldiers from Ruthin played in Mametz Wood. The students will visit the Royal Welsh Fusiliers Museum in Caernarfon and the National Library of Wales in Aberystwyth to research the book. A ‘Memories Day’ will see volunteers collect photographs, newspaper reports, letters and documents from public archives and residents while also recording their family stories to build a clear picture of what life was like in Ruthin a century ago. Students will also film and record those memories for a DVD and an eight-week long exhibition that will be held in Ruthin Library. 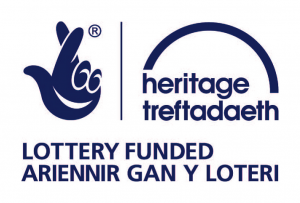 Copies of the book and DVD will be presented to schools in the county, Denbighshire Libraries and Archives, the People’s Collection Wales and the film will be uploaded to Ruthin Community Group website. Guest speakers will be invited to take part in a programme of public lectures and an audio file of people’s memories will be presented to the Blind Veterans UK charity. The 10th Essex Battalion will establish a World War I camp to allow visitors an idea of life in the trenches while also concentrating on the types of nutritional food the soldiers ate on the front-line. Commemorations to mark the centenary of Mametz Wood are being held by the Welsh Government and the Western Front Association. Ruthin residents will also make the pilgrimage to the battle site to see the statue of a red dragon, erected in 1987 by Welsh sculptor David Petersen, on top of a three-metre stone plinth, facing the wood and tearing at barbed wire.